Detective Sergeant Trevor Haken was one of the infamous Golden Mile′s most crooked cops. Now he lives in hiding, in a hell of his own creation. Graduating from small bribes to stealing money and receiving kickbacks from drug dealers, Haken became an informant for the Wood Royal Commission into corruption in the New South Wales Police Service. The Commission′s findings sent shockwaves through the police force and beyond, resulting in the dismissal and resignation of many officers, and the reorganisation of policing in the state. Haken′s role in gathering evidence was crucial to the outcome of the Commission and highly dangerous. If anyone had searched him and found a wire, he would have been killed. And Haken was wired at least eighty times. The danger increased at every meeting. Remarkably, author Sean Padraic gained Haken′s support and trust. 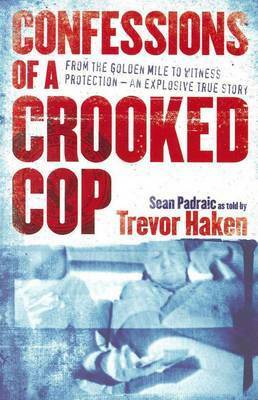 Using Haken′s words and testimony, CONFESSIONS OF A CROOKED COP is a startling exposé of a system that was supposed to uphold the truth and protect its citizens, but instead fell into chaos and had corruption at its very heart.